It’s time to order your 2019 NAHMA Drug-Free Kids Calendars at the same affordable price as last year! Just $5.50 each AND still a Department of Housing and Urban Development and Department of Agriculture allowable project expense. Your purchase of this calendar supports drug-free and safe community housing. Calendars make great holiday gifts for your properties, community event giveaways and colleagues. This year’s theme, “Hope Is in Bloom: Nurturing Our Community” is illustrated through the unique poster art created by children, seniors and adults with special needs living in affordable housing. Support the drug-free message today. Place your order by December 14, 2018, and enter the NAHMA Lucky Draw for free prizes! NAHMA Lucky Draw Prizes! If you'd like to mail in your order, please download this order form. NAHMA needs your help to achieve our goals. Your contribution funds NAHMA’s government affairs and other grassroots activities that keep the affordable housing industry’s perspective at the forefront of the congressional and federal regulatory agendas. NEWLY UPDATED! 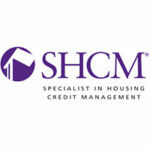 This user-friendly publication also serves as a study guide for the Specialist in Housing Credit Management (SHCM) certification program. The informative yet easy-to-read guide will help you understand key concepts in the Housing Credit program, including Fractions and Credits, Eligible Basis, Qualified Basis, Minimum Set-Aside, Rules of Calculation of Income, Student Households, and much much more! Every housing credit property manager should have a copy! NAHMA would like to thank RealPage and The Inspection Group, sponsors of the guide. For more information on RealPage and its products, please click here, or visit their website. Members: $25 plus $5 shipping per copy Non-members: $30 plus $5 shipping per copy Quantity discount is available for orders of 100 or more copies – see form linked below, or contact Rajni Agarwal at NAHMA, 703-683-8630, ext. 115 To order via a downloadable PDF form that may be printed and then faxed or mailed, click here: Housing Credit Study Guide Order Form. 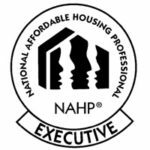 This renewal is for National Affordable Housing Professional® Executive Certification (NAHP®-e). Don't forget to submit your 10 hours for Continuing Education! CEU Tracking Form is available for downloading on the Education > Overview page. 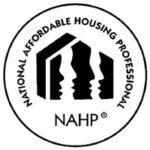 This renewal is for National Affordable Housing Professional® Certification (NAHP®). Don't forget to submit your 10 hours for Continuing Education! CEU Tracking Form is available for downloading on the Education > Overview page. This renewal is for Certified Professional of Occupancy™ (CPO™). Don't forget to submit your 6 hours for Continuing Education! CEU Tracking Form is available for downloading on the Education > Overview page. This renewal is for Advanced Issues in HUD Occupancy and Introduction to Managing Mixed-Finance Properties™ (ACPO™). Don't forget to submit your 6 hours for Continuing Education! CEU Tracking Form is available for downloading on the Education > Overview page. This renewal is for National Accredited Housing Maintenance Supervisor™ (NAHMS™). Don't forget to submit your 4 hours for Continuing Education! CEU Tracking Form is available for downloading on the Education > Overview page. This renewal is for National Accredited Housing Maintenance Technician™ (NAHMT™). Don't forget to submit your 4 hours for Continuing Education! CEU Tracking Form is available for downloading on the Education > Overview page. 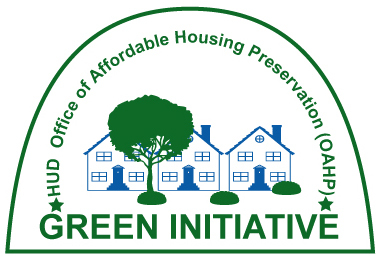 This renewal is for the Credential for Green Property Management™ (CGPM™). Don't forget to submit your 4 hours for Continuing Education! CEU Tracking Form is available for downloading on the Education > Overview page.